The modern men’s vest, like many fashionable accents, began life as a functional piece of outerwear. Servants working outside added a narrow coat across the front of their torso for extra warmth, and the waistcoat quickly evolved into a staple of every well-dressed man’s winter outfits. By the late nineteenth-century waistcoats were a popular accessory both with and without jackets, and they have remained reasonably unchanged in their role ever since. 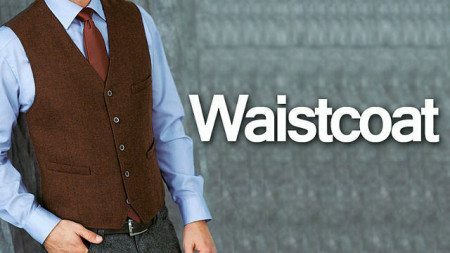 The term “waistcoat” is generally a more specific one than “vest” — it refers, literally enough, to a sleeveless garment that covers a man’s waist, hiding the top of the trousers and the bottom of the shirt. In a vested or three-piece suit, the waistcoat is made from the same fabric and lining as the rest of the suit, creating a uniform stretch of cloth from the ankles to the chest. 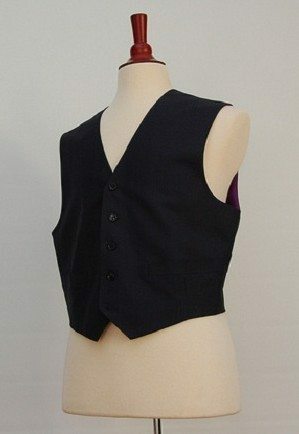 Worn separately, waistcoats and vests are flexible pieces of menswear that can fill roles in formal or casual wear alike. 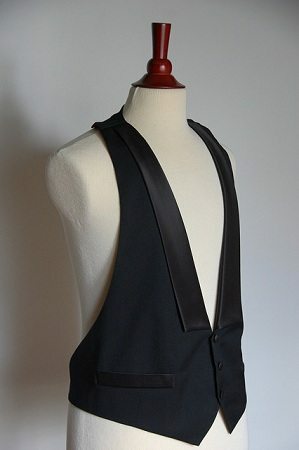 A black-tie waistcoat is a very specific piece of clothing. They are never meant to be worn without the accompanying jacket. Many are “backless,” with only a strap to fasten them. 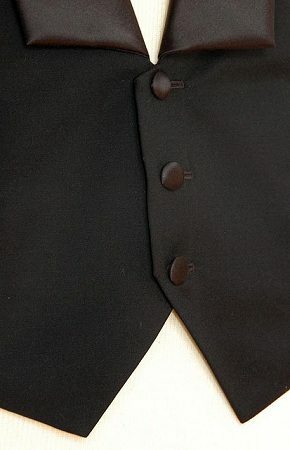 Formal waistcoats often feature lapels, which is uncommon on most other vests. They tend to be cut much lower in the front than the waistcoats that accompany three-piece suits, leaving more of the formal dress shirt visible. While formal waistcoats are usually made from the same black fabric as the tuxedo jacket, there is room at most formal events for a tasteful vest in a separate color instead. The gaudy colors you sometimes see at rental outlets remain novelty items, but a rich burgundy red or deep green is appropriate enough to be worn in front of the Queen of England — and has been. The three-piece suit was standard in the early 20th century, falling out of fashion in WWII when cloth rationing limited their availability. It remains a striking piece of menswear, similar to the double-breasted suit jacket in formality and elegance. The best-looking men’s waistcoats will usually be tailored to get the close fit and appropriate relation to the jacket needed for a proper look. Suit waistcoats always cover the waist and should rise just above the lapels of the jacket, spreading wide enough to fit over the shoulders without laying under the shirt collar.Like the formal waistcoat, men’s suits can incorporate an unmatched (or “odd”) vest. The look then becomes more dressed-down, almost playful — suitable for a relaxed evening on the town rather than a serious business event. Patterns are also popular in odd waistcoats, providing a cheerful contrast to the jacket above them. As a stand-alone item of clothing, a waistcoat similar to those worn with a three-piece suit is an appropriate piece of business-casual wear. 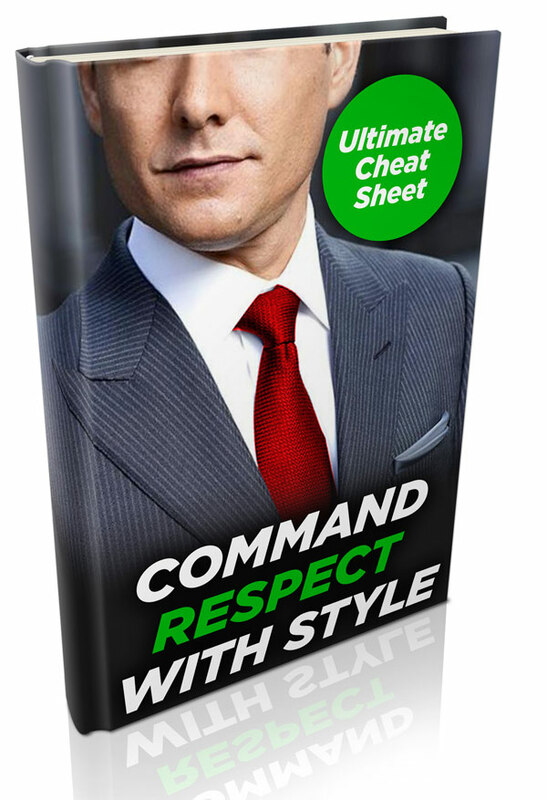 It serves a similar function to a casual sportcoat, adding a touch of color and style to a dress shirt and trousers without attempting to imitate the formality of a matched suit. Here an “odd” or unmatched waistcoat is preferred, as matched trousers and a waistcoat tend to give the impression of a man who forgot his suit jacket. Rolling the sleeves of the dress shirt up can help to make it clear that the vest-and-trousers outfit is deliberately chosen, but reduces the formality. Worn casually, a waistcoat offers more opportunity for outspoken style than when it is paired with a jacket. The pattern and color may take the center stage without fear of clashing. Since men rarely wear waistcoats in modern America, the look is already an eye-catching one — adding an active pattern will hardly make it look less striking or more out-of-place. Traditional stripes or checks are perfectly acceptable, as are more flamboyant creations with elaborate figure patterns or diamond panes. A vest on its own may have lapels or not; the former is more old-fashioned. Even worn casually vests tend to look out-of-place without accompanying neckwear. Bow ties make particularly elegant accompaniments for the man with confidence, as do old-fashioned “straight” ties with no change in width from top to bottom and a flat tip (which will of course be hidden below the vest). For the true dandy there are many styles of cravat to experiment with, but it will be impossible to avoid looking affectedly old-fashioned in one. This may well be the desired effect for a vest-wearer, but be aware that it does border on costuming rather than fashion, and exercise some restraint. The button-fronted waistcoat is hardly the only vest available in menswear. Sleeveless jackets appear as everything from pajama tops to outerwear. Barbour of London even makes a waterproof vest version of its iconic jacket, though one has to wonder at the usefulness. The undress vest is generally seen as a stylish flourish on whatever parent garment spawned it — and, from a more practical standpoint, is one that can be worn in somewhat warmer weather. A sweater-vest can be worn to basically the same functions that a sweater can, but appears as a more conscious choice on the wearer’s part simply by being the less common option. The same applies to fleece activewear, and so on — these are all undress garments, made for casual day-to-day wear with friends and family. A vested style is a minor stylistic flourish and a comfortable choice for warmer weather. Like sweaters, sweater-vests can be very casual or more dressed-up depending on the style and how they are worn. A single color or very muted pattern will always be more formal, and wearing it with a dress shirt and necktie will of course be dressier as well. Vests and waistcoats are elegant garments that add more to an outfit than most accesories. They can add formality to suits, style to unmatched outfits, comfort to casual wear, or warmth to business dress in cool weather. A three-piece suit is an excellent starting place for a man with no other vested outfits, as the vest can be worn separately with other garments – the only caution here is that any piece of a suit will, if worn too frequently, wear and become lighter in color than the other pieces. Rotate the wardrobe to keep everything matching properly. After a first waistcoat, the decision of how often to wear vested garments is really every man’s choice. Any style worn without variation gets boring, so don’t be “the vest guy” — but have at least a few standing by for days when a little extra flair is called for. The versatility and unusual style of waistcoats and vests is too good for a well-dressed man to pass on entirely.